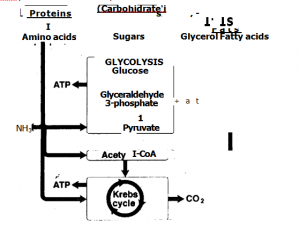 The catabolism of glucose is the most common metabolic pathway in cells. But animals also consume fats and proteins. These may be used to harvest energy. Fats are built from long chain fatty acids and glycerol. They form triglycerides. The initial catabolism of a fat begins with the digestion of the triglycerides to glycerol and three fatty acid molecules. The glycerol is phosphorylated. It can enter the glycolytic pathway at the level of glyceraldehydes 3-phosphate. The free fatty acids move into the mitochondrion. Where their carbons are removed. They form acetyl coenzyme. The acetyl coenzyme A is then oxidized by the Krebs cycle. It produces additional NADH and FADH2 which a e oxidized via the electron transport chain.The number of hydrogen atoms per unit weight of fat is greater than in carb hydrates or protein. Therefore, 1 g of fat provides about 2.5 times more ATP energy than 1 g of carbohydrate or protein. 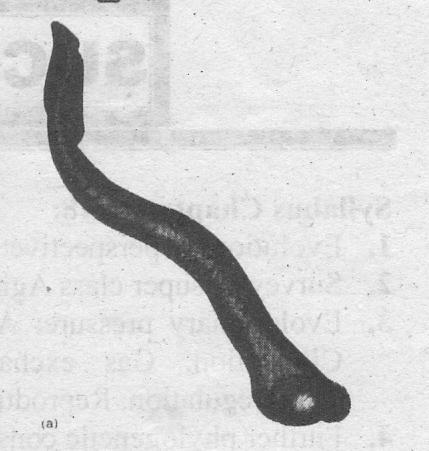 Therefore, many animals store ener y in the form of fat in adipose tissue. An oxygen atom replaces an amine group to form a keto acid. 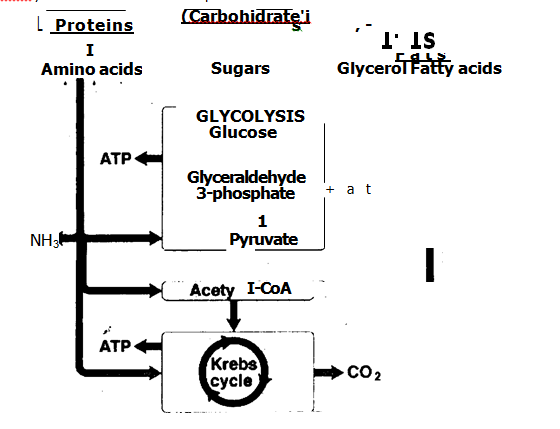 The keto acid can enter into the Krebs cycle. Finally, the carbon skeleton of the amino acid is broken and oxidized to 002. 1 g of protein yields about the same amount of energy as 1 g of glucose The ammonia is highly toxic and must be excreted.